Create Spark structured streams to process real time data from many data sources using dplyr, SQL, pipelines, and arbitrary R code. Monitor connection progress with upcoming RStudio Preview 1.2 features and support for properly interrupting Spark jobs from R.
Use Kubernetes clusters with sparklyr to simplify deployment and maintenance. In addition, sparklyr 0.9 adds support for Spark 2.3.1 and Spark 2.2.3 and extends broom models in sparklyr. An extensive list of improvements and fixes is available in the sparklyr NEWS file. The sources are defined using any of the stream_read_*() functions to read streams of data from various data sources. The transformations can be specified using dplyr, SQL, scoring pipelines or R code through spark_apply(). The destination is defined with the stream_write_*() functions, it is often also referenced as a sink. Once this is executed, sparklyr creates the stream and starts running it; the stream will be destroyed when the R session terminates or when stream_stop() is called on the stream instance. 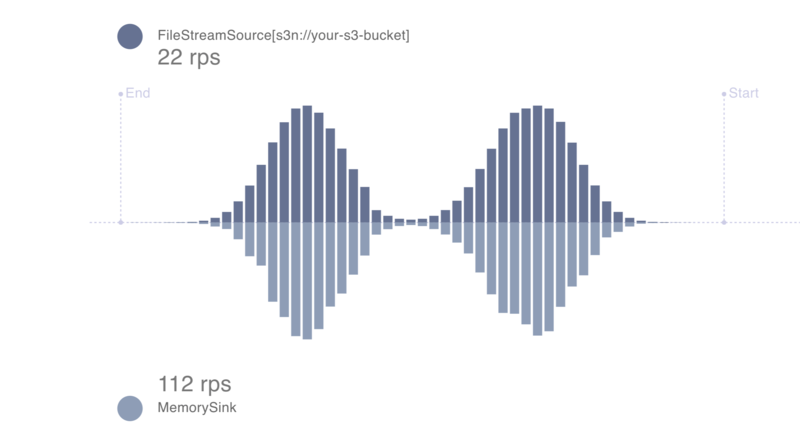 You can also easily display streaming data using Shiny. Use the sparklyr::reactiveSpark() function to create a Shiny reactive from streaming data that can then be used to interact with other Shiny components and visualizations. You can learn more about sparklyr streaming at https://spark.rstudio.com/guides/streaming/. # Start a new operation without having to restart the Spark context. Please note that Spark on Kubernetes requires a proper container image, see ?spark_config_kubernetes for details. In addition, Kubernetes support was just added in Spark 2.3.0 and the Kubernetes scheduler is currently experimental in Spark. We hope you enjoy all new features in sparklyr 0.9! You can read more about these features and others at https://spark.rstudio.com/, get help from the R community at https://community.rstudio.com/tags/sparklyr, and report issues with sparklyr at https://github.com/rstudio/sparklyr.